Jenny Vu, WHNP-BC, is a women's health nurse practitioner at Newport Center Women's Health in Newport Beach, CA. Jenny began her career in nursing in 2006 and has been a nurse practitioner since 2017. Jenny earned her Bachelor of Science in Nursing from California State University, Fullerton. She also earned her Masters of Science and Nurse Practitioner degree specializing in women's health from practitioner and an active member of the Nurse Practitioner Women's Health Association. 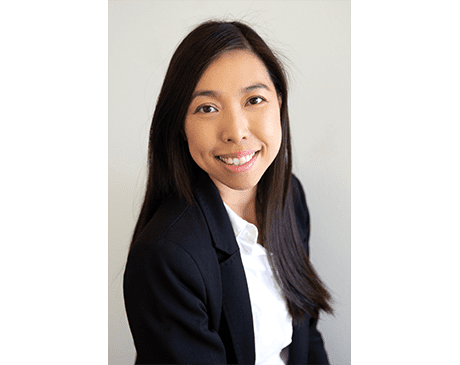 Since receiving her Master's degree, Jenny has enjoyed establishing trusting relationships with women of all ages with interests including birth control, IUD/Nexplanon insertions/removals, and prenatal care. Jenny grew up in Southern California, is married and has two young children. She likes to focus on spending time with family and baking/cooking delicious foods and treats.